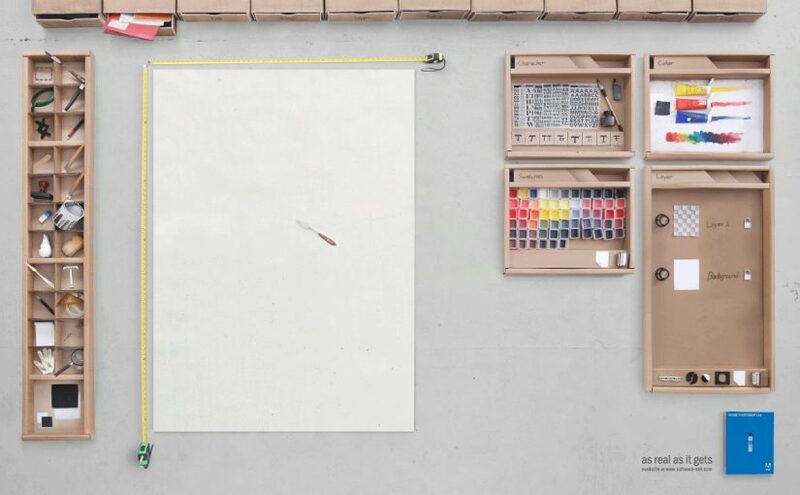 Ever wondered how Adobe Photoshop would look in real life? Art Snob Solutions have rebuilt the software with natural, real materials. The color swatches, ruler, font panel, tool palette, … simply everything is handmade. This is NOT a photoshop job!